Ogleden sonra artik bunyemin iyice yorgun dusup hatta tabiri caizse, pilim bittiginde koltukta uyuya kaldim. Uyandigimda dunyanin en tatli esi, sewgilim bana bu guzel papatyayi almis:) Yaninda bol c vitamini deposu dilimlenmis portakallar. Simdi bir film daha izlerim artik, malum disari cikamiyorum, ve dinlenmeye devam ..
Hubby has been sick for the past couple of days, and he finally gave it to me :) It's also been terribly freezing lately and I could not help but got sick. The best cure for being sick is of course resting. Although it is Saturday today and the day I was looking forward whole week I had to stay home and stay away from the crowd. A perfect thing to do when you're home is of course watching a nice movie! 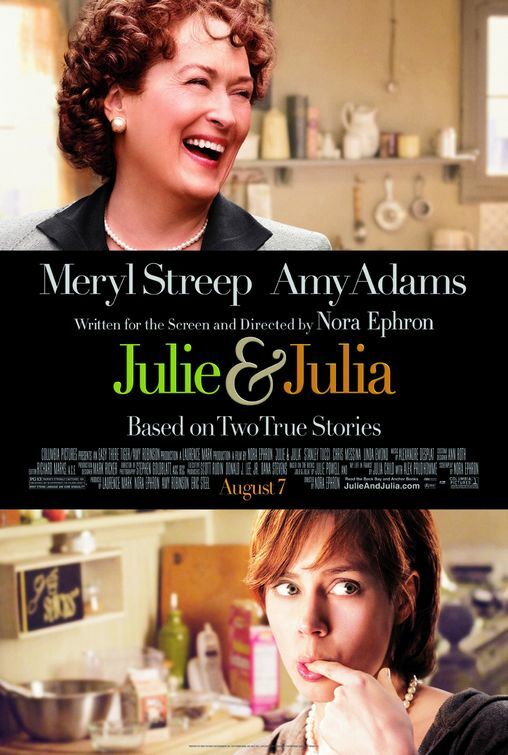 I had ordered Julie & Julia for this weekend, and I got a chance to see it. The movie is about 2 hrs length and it's all about cooking and recipes which may sound fun but makes you want to eat at the ending:) I wanted to lock myself into my kitchen after seeing it although I am really sick and can only rest on the couch for now! For those who may want to try a few recipes Julie& Julia cookbook is available at Amazon. Bon appetit! Haftasonu film esliginde gecen mukemme bir hafta sonu, tabii filmi izlerken burnum tikali oldugu icin agzimdan nefes almaya calisan halimi gormeniz lazimdi:) Bir an once iyilesip yeniden sahalara donmek icin dinlenmeye devam .. Herkese iyi hafta sonlari !